Protect the investment you have in your business by choosing our team for commercial roof repair in Cohasset, Massachusetts and surrounding areas. As a locally owned business, we understand firsthand the difficulties involved in protecting your establishment, and the costs. We believe that roofing damage inflicted by Mother Nature shouldn’t force you to close your doors for good. That is why our commercial roofing company offers convenient and affordable repair services to the businesses in our community. With the right commercial roofing contractor on your next project, your company can realize additional savings and the potential for future growth. With a fully functioning roof, you are better able to control heating and cooling costs while still ensuring the comfort of your customers. No matter how complicated your situation may be we go out of our way to ensure your staff is able to continue the vital work of your organization. Plan and build a new roof that efficiently directs precipitation and debris away from your structure. Start any commercial roof construction off on the right foot by hiring a team with more than 20 years of experience. With a locally-owned business in your corner, you will never miss a beat and you will always be a step ahead of the competition. Whether you need a new roof coating, minor repairs, or a full roof replacement, our team is ready to provide you with a solution that fits your operating budget. Storm damage can come when you least expect it, and you don’t have time for amateurs to guess their way to a solution. You need answers now, and your business is depending on them. Reduce your energy costs and stop the leaks that are ruining your reputation with the repair solution we provide. Businesses come in all shapes and sizes, so you need a contracting team that is prepared to tackle any type of challenge that you are experiencing with your roof. Our team is prepared for projects of varying size and levels of difficulty. We structure our approach to reduce the impact on your business operations. Your clients will hardly know there is repair work going on at all when you rely on our proven approach to commercial repairs. Build a better roof for your establishment by working with our commercial roofing contractor team. Many local businesses have existing flat roofs, which drain water and precipitation less efficiently. 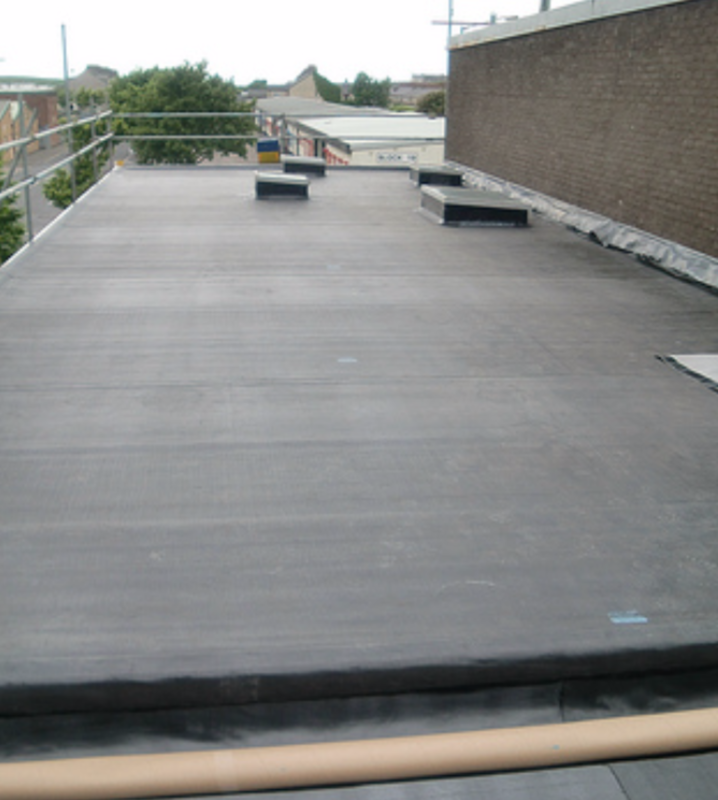 Our team can design a new roof with added pitch through the use of tapered insulation boards. We can also add drains for seamless gutters that increase the longevity of your roof. Keep your new roof working as designed by taking advantage of our preventative roof maintenance as well. Contact us today when you need commercial roof repair after any sudden storm. We proudly serve customers in Massachusetts, particularly on the South Shore, and accept credit cards and offer financing through a third party.